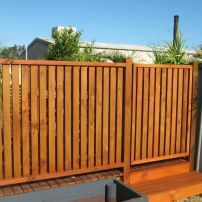 commented on "Balustrade and Gate"
Small balustrade and gate leading onto an outside deck. 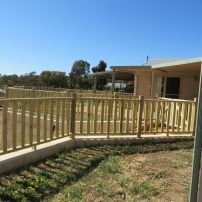 commented on "Balustrade around patio"
This balustade is designed to keep the dogs in. 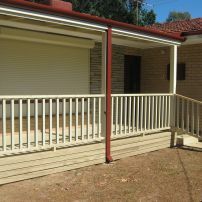 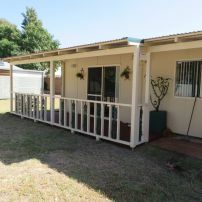 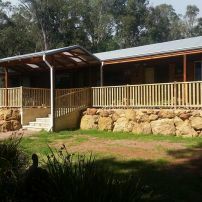 commented on "Balustrade on Front Verandah"
Balustrade on front verandah with steps. 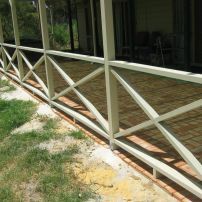 commented on "Balustrade on Verandah"
commented on "Cross 'X' Balustrade"
Cross 'X' type balustrade between pergola upright posts. 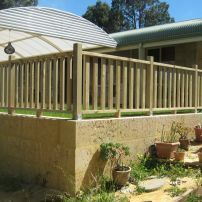 commented on "Landing with Balustrade"
This long balustrade has been built on top of limestone wall. 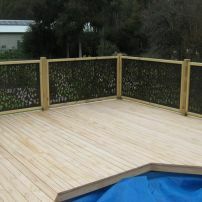 commented on "Metal Screen Balustrade"
This balustrade is a metal outdoor screen inserted into a timber frame. 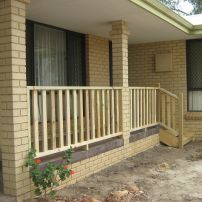 commented on "Timber & Cast Iron Balustrade"